Hi, in my first blog I talked about my new role as a Vehicle Enquiries service designer. 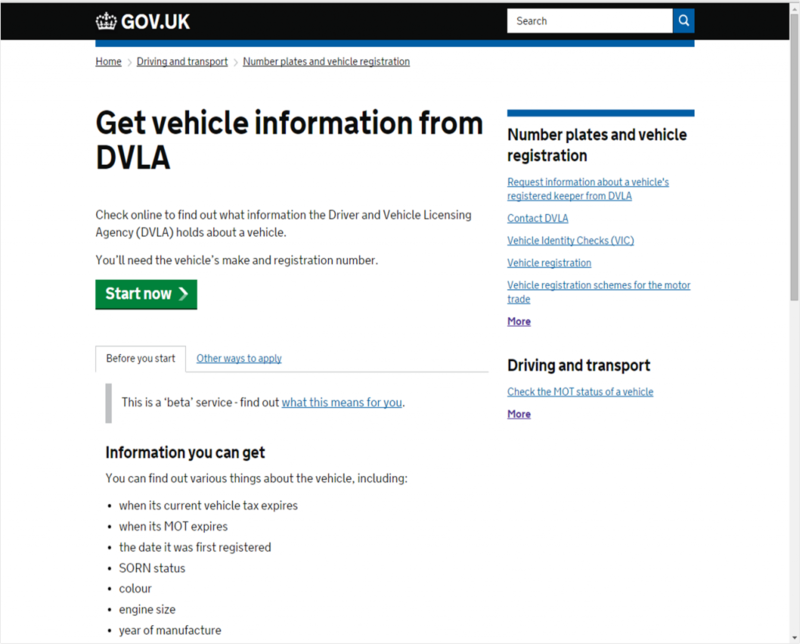 It’s been four months now and I’m learning more each day about our users’ requirements and when they’re most likely to use the Vehicle Enquiry Service (VES). I’m constantly looking at ways to improve VES because our aim as a business is to make the service even simpler for customers to use. We’ve already learned that users would like links to tax a vehicle if they use the service to check their tax and find it’s expired. We’re also reintroducing the export information to the vehicle details list, as some of you have asked for. To help us improve the service, we’ve started some customer insight sessions at the lab. It was the first time for me to observe an insight session. I was really impressed with the facilities that we have and the professionalism of our insight team. We interviewed 5 users and asked them to navigate www.gov.uk to find VES. Most of them took a few attempts, so we’ll work with GDS to see where we can make improvements. We were able to demo two prototypes of VES which were developed using insight that we’d taken from other sources of customer feedback eg surveys. Most of the feedback suggested that they liked the new prototypes because they were easier to follow and gave information in a simpler way. I felt proud and satisfied when I could see they liked the new service and that the work we’d put in so far was appreciated by our customers. The main message we’ve tried to get across since the abolition of the vehicle tax disc is that tax is no longer transferable when a vehicle is sold ie that the tax doesn’t come with the car or whatever vehicle it is. It seems that this message isn’t always clear and not everyone is aware of the changes. So we plan to make this stand out more on the service. We currently have a project underway to look at a Vehicle Service Design API. At the moment it’s still at the discovery stage. We’ll be launching a survey in the coming weeks, if you use the service during this time, don’t forget to complete the survey. I look forward to receiving your valued feedback.